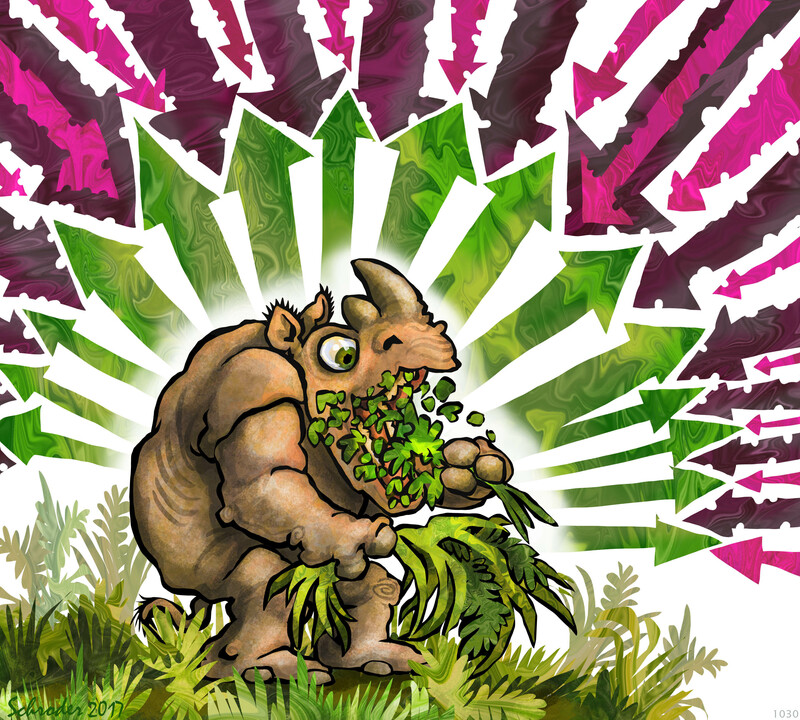 Rhinos need lots of veggies, but also the right ones. We are self-medicating by Nature, so We pay attention. A little of this, balanced with a bunch of that. Most Rhino medication is taken on the Perpetual Plan, with an eye to upcoming possibilities, which could show up any time. All herbal, except for occasional minerals (when We run into them).